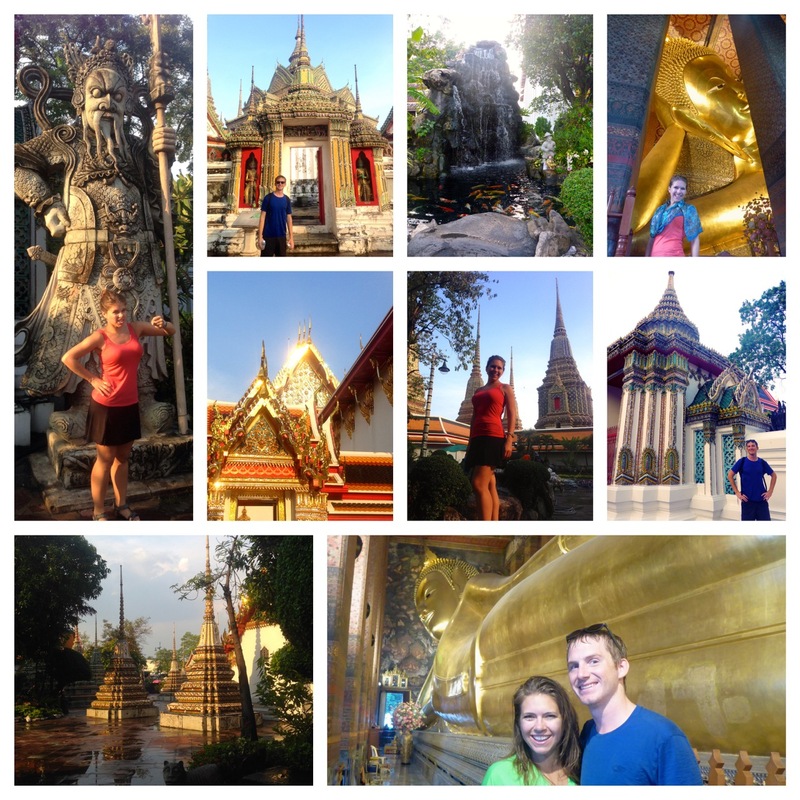 We left India for Southeast Asia with our first stop being a little layover in Bangkok, Thailand. 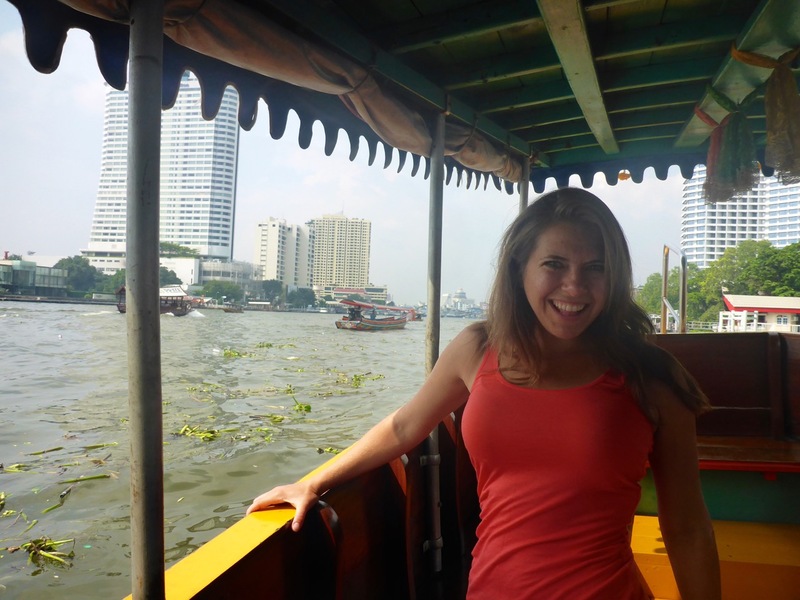 We decided two nights would be a good intro trip to Thailand without too much of a delay in our itinerary and who wouldn’t want to see Bangkok on Halloween? 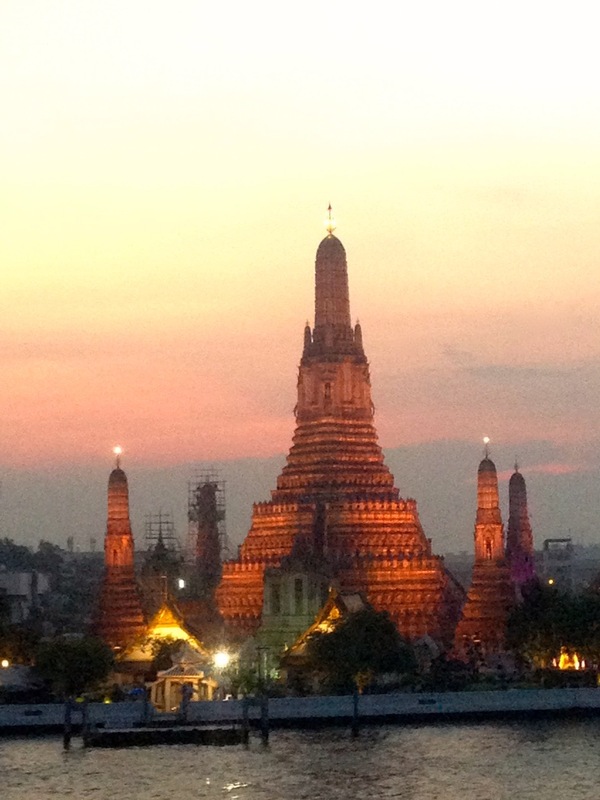 So, how did we spend our 72 hours in Bangkok? We didn’t do a ton of research before we arrived just found a nice reasonably priced hostel close to some of the main tourist areas. What I didn’t realize from my glancing at the guidebook map was how huge of a city Bangkok is… And while the hostel I picked Lub*d Silom, was right in the middle of everything, that actually made it about 2km away from anything. Not a huge deal as Bangkok has a great metro, taxis are prevalent, and tuk-tuks abound. 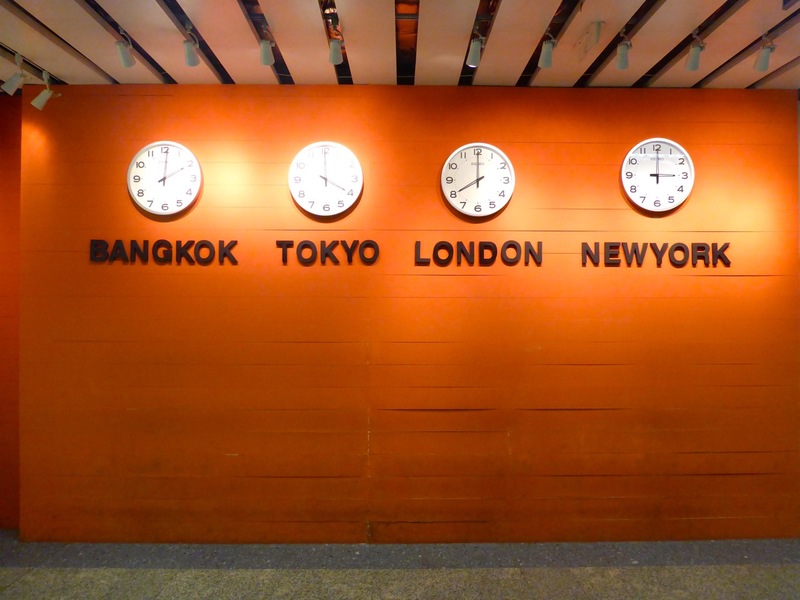 We arrived via a red-eye from Kolkata, India and after jumping in a taxi we made it to the hostel about 5:30am. They were friendly and let us crash in the theater room until our room was ready. Our first order of business after sleep for a few hours was Breakfast! We were told a street right around the corner from our hostel has great food stalls. We found some kind of great coconut lime chicken soup to start the day. 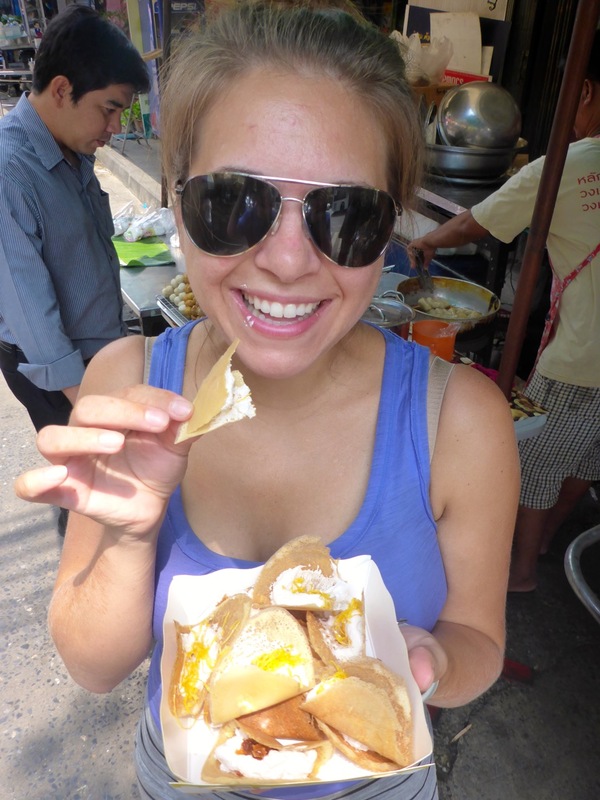 It was outstanding – Liz said it was her favorite food of the trip so far!! The flavor was light and complex and exotic and completely addictive. 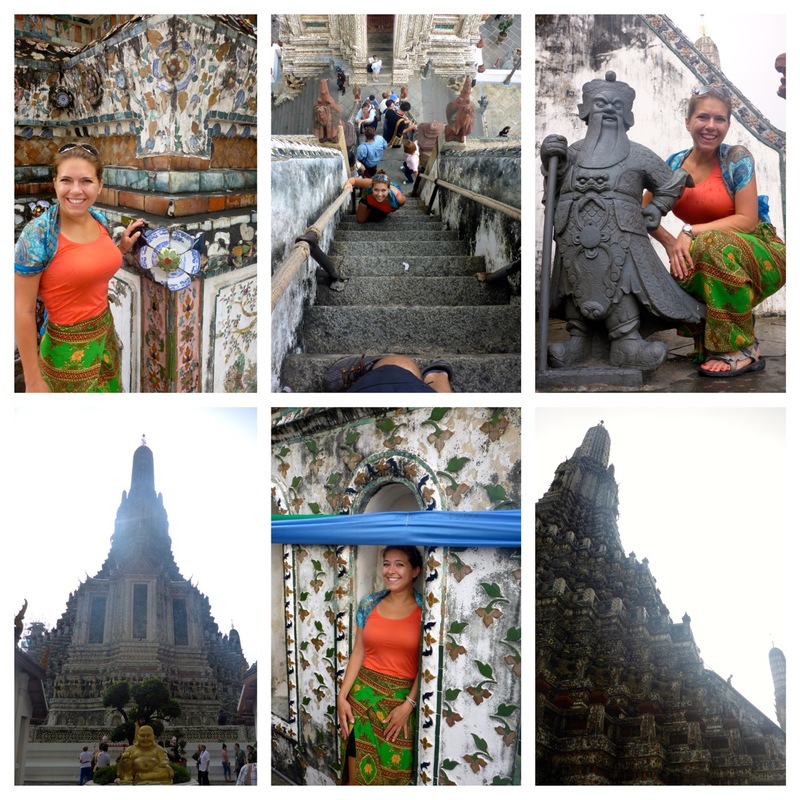 Unfortunately we were still out of it and didn’t think to take a picture… but we are definitely planning to find more of it when we get back to Thailand in a few weeks. 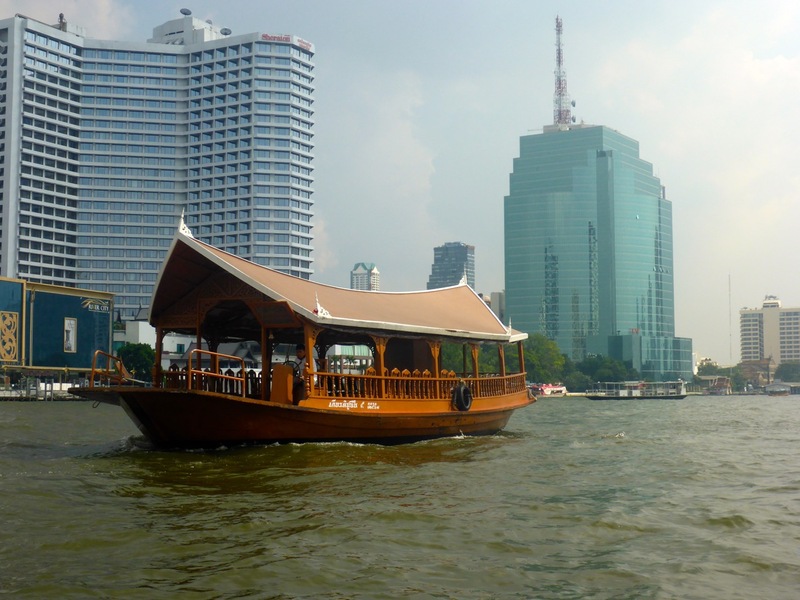 From there we decided we needed to see Bangkok from the water; after all, it is known as the “Venice of the East.” We found our way to the waters edge where we were quickly talked into a boat tour that would end by the Grand Palace and walking distance to a lot of other attractions. 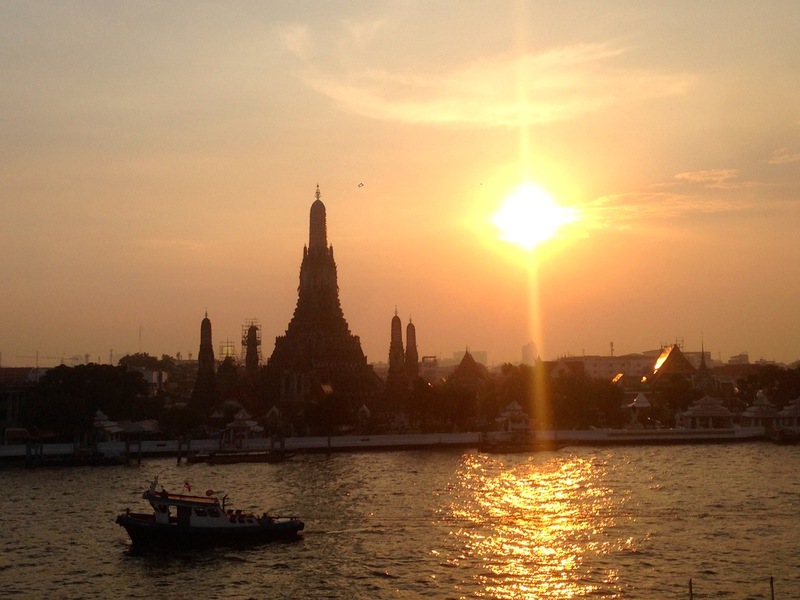 We got a lovely tour via the water then the captain dropped us off at Wat Arun, an imposing temple on the west bank of the Mae Nam Chao Phraya (the river). We made it up to the top just in time to get absolutely poured on! Gotta love rainy season. 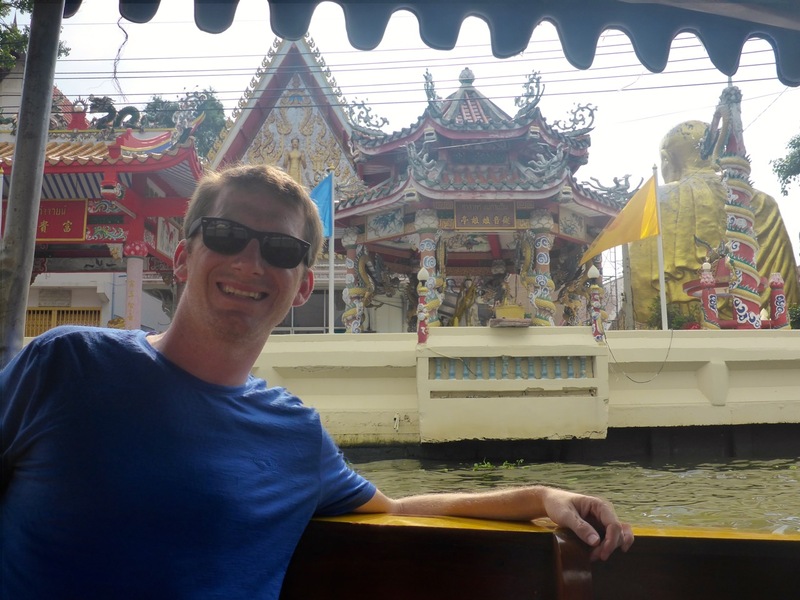 Our captain then ferried us over to the other side of the river where our tour ended at we went into see Wat Pho and the giant “Reclining Buddha.” We wondered around the grounds there for a while before making our way to a rooftop for sunset. 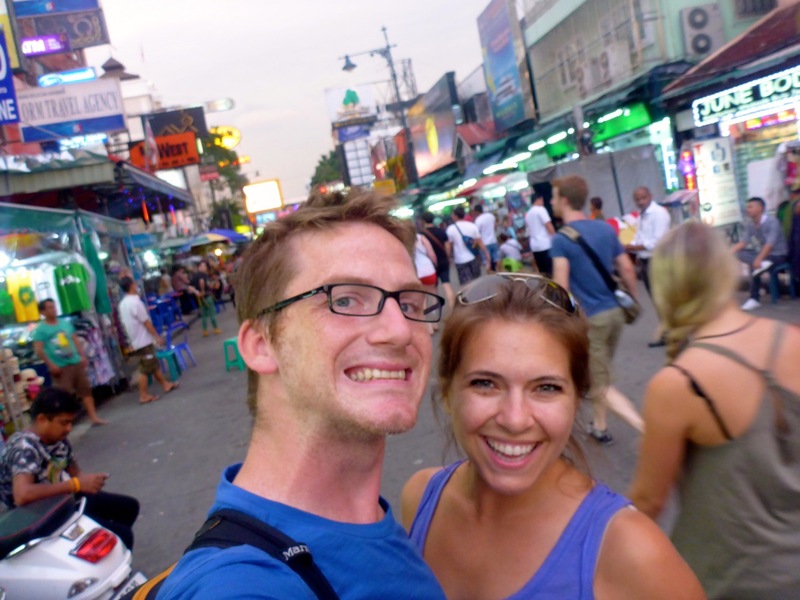 From there we grabbed a tuk-tuk to Khao San Road the backpacker home of Bangkok. Khao San is a crazy street light with neon, vendors, food carts and anything else you can imagine. 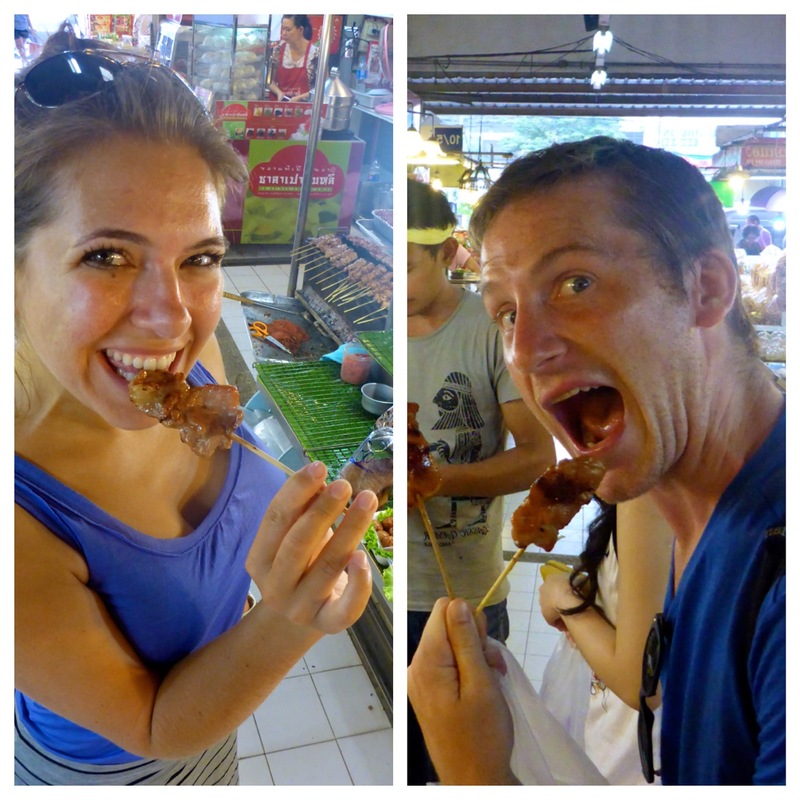 We found a ton of great food, got a foot massage to heal our tired feet, and just wondered around Khao San people watching and enjoying the energy of the city. 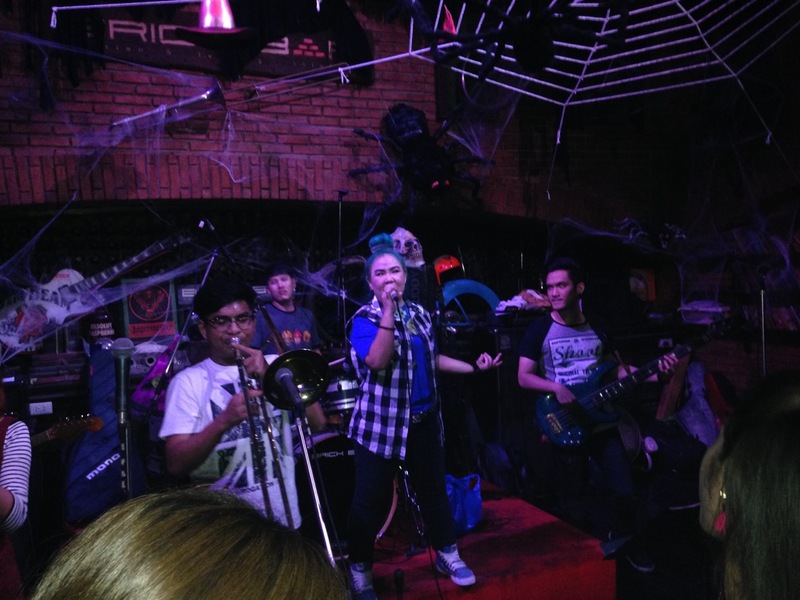 There is, of course, tons of live music along Khao San and it didn’t take us long to find something right up our alley. A place jam packed with young locals and a 8 piece live band playing ska versions of Frank Sinatra, as well as a number of songs we didn’t recognize. 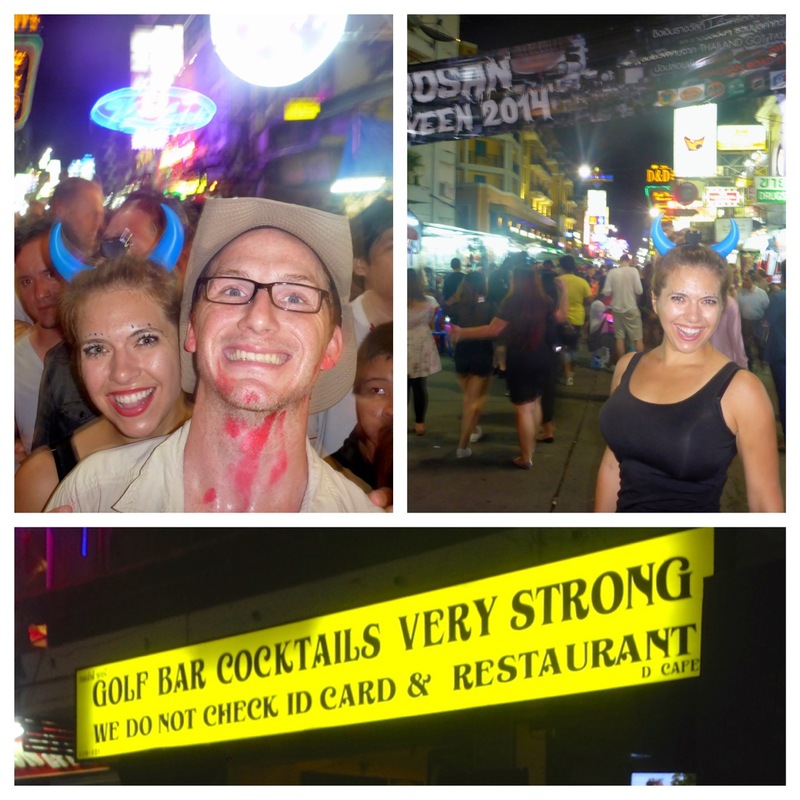 It was easy to stay up late on Khao San and we headed home about midnight; extremely early by Bangkok standards. The next morning it was more neighborhood food, and I was thrilled that marshmallows were on the breakfast menu. 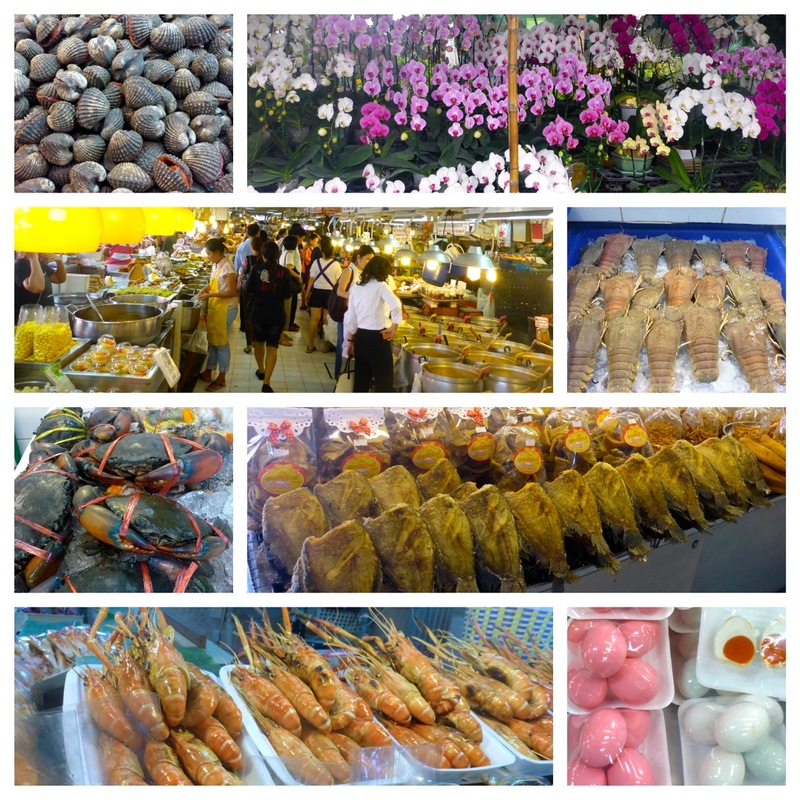 It was Friday and the big Chatuchak Weekend Market was open on but not as crowded as it normally is on Saturday and Sunday. So we took the metro to the market. If you know Liz you know how much she loves markets so we spend a few hours roaming round looking at all the crazy foods for sale. 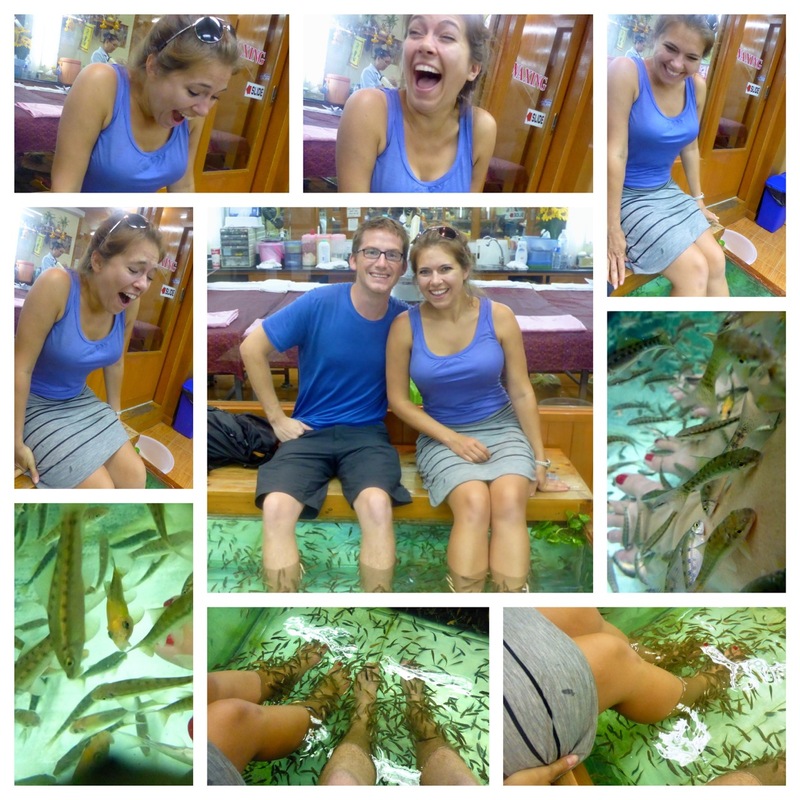 From the market it was back to Khao San to see it in the day light a little and visit the fish spa. It doesn’t hurt but it’s definitely a shocking experience when you first stick you’re feet in. 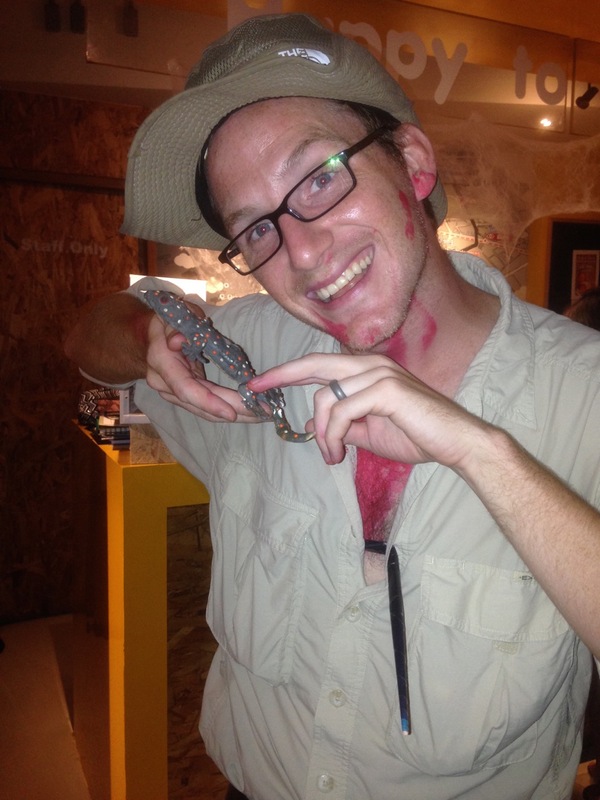 That evening the hostel was having a costume contest before going out to the total madness that was the Khao San Road Halloween festivities. 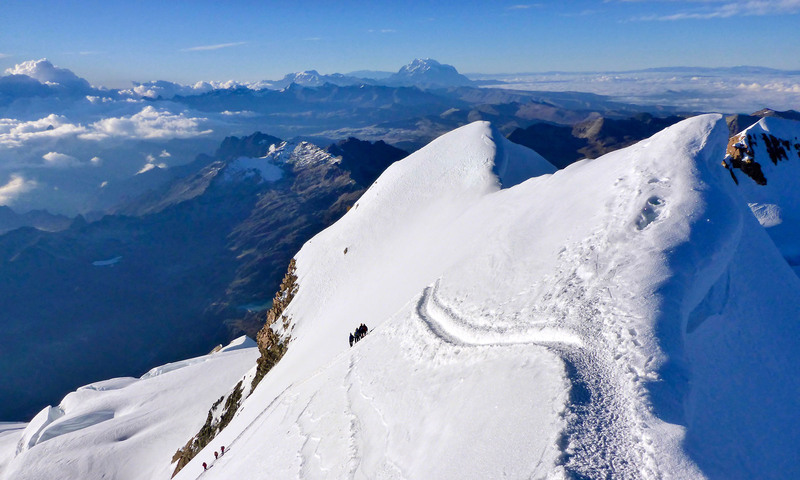 We were limited to what we brought with us or was in the “free” bin at the hostel. Liz tied for 3rd with her “blue horns she found in the free bin and some make-up from friend.” And I took second as Steve Irwin. There wasn’t a lot of competition. Khao San road was absolute madness wall to wall people everywhere. After about an hour we had had enough and decided we needed to move to a quieter street and get some pad thai then head home. We slept in the next day, did some laundry then head to the airport to catch our flight. Previous PostPrevious Childhood Bucket List Item: Ride Black Beauty — Check!